... its mark and deservedly so; the building is both stunning and inspired and must be quite something to see and experience in person. 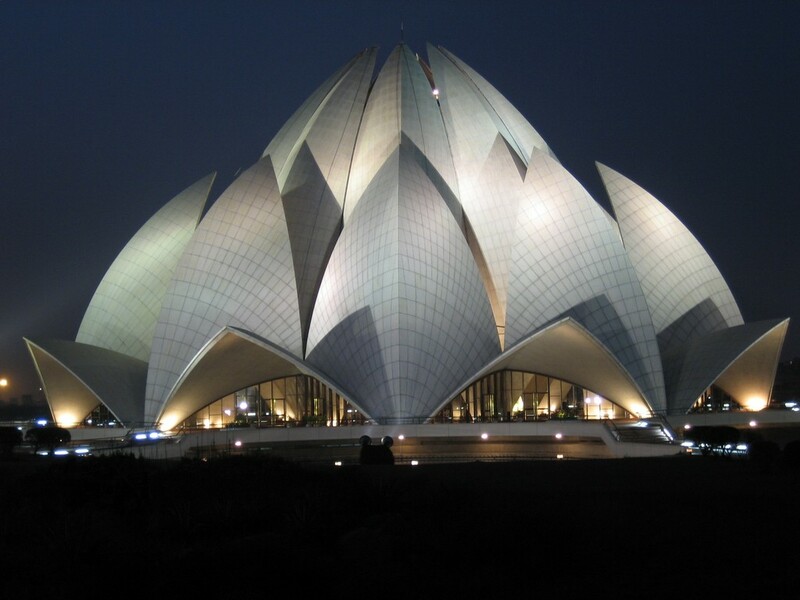 "While designing the Bahá'í House of Worship for India; a Temple dedicated to the Oneness Of God, the Oneness of Religions and the Oneness of Mankind in which peoples of all backgrounds are welcome -- architect Faroborz Sahba was inspired to use the lotus flower as the basis for his creation. 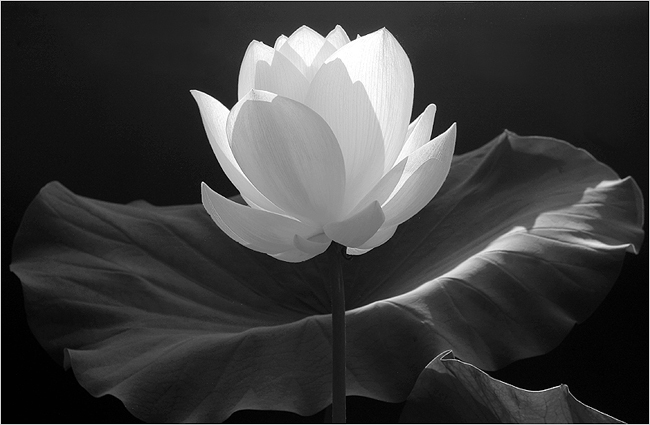 He chose it as a symbol for the Bahá'í belief in the potential purity of the human spirit; he chose it as a metaphor for the truth that out of the "murky waters" of our collective history of ignorance and violence we will arise to create a new age of peace and universal brotherhood." 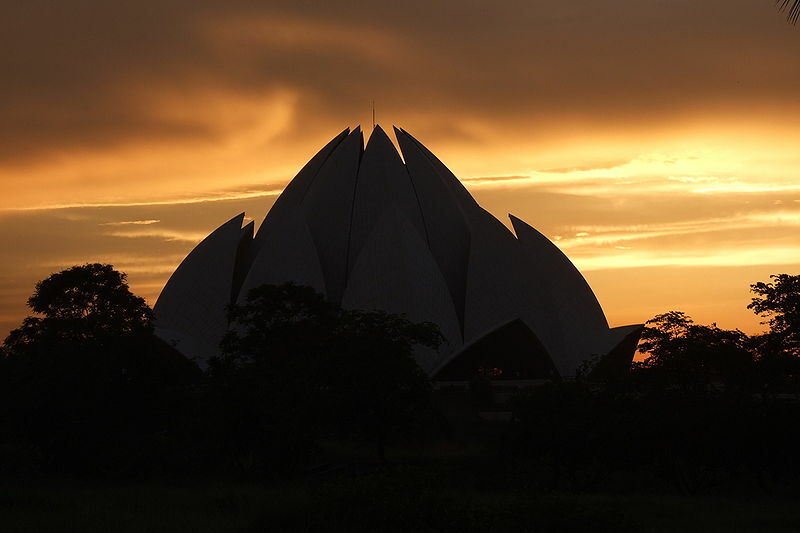 Architecturally the Lotus Temple follows principles outlined for the construction of Houses Of Worship first laid out by the son of the religion's founder. All are round with nine sides and contain no altars; images and statues are not displayed. 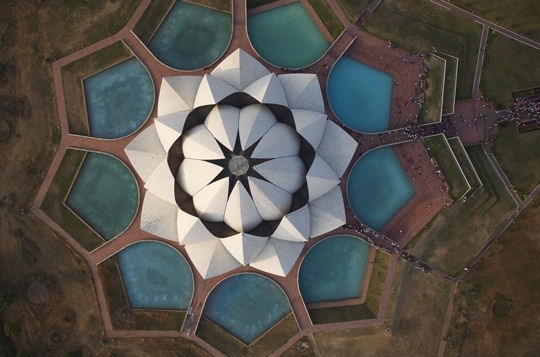 The building's design is centered around 27 marble clad, concrete "petals" situated in three groups to form the nine sides. 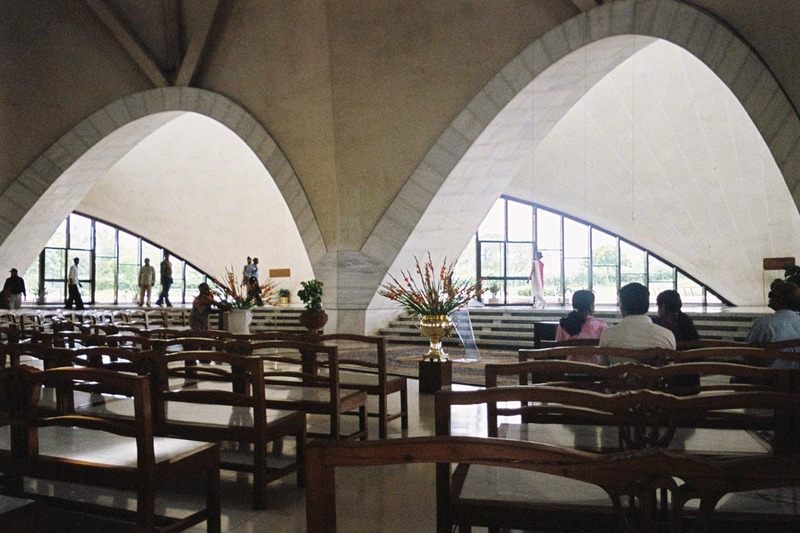 The Temple sits on a 26 acre site and is surrounded by nine ponds and landscaped gardens. 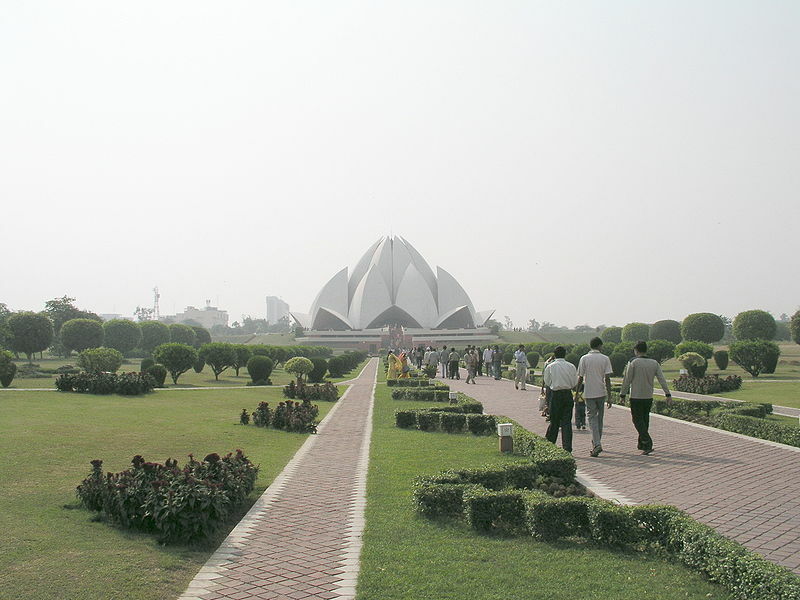 The Bahá'í Faith is a relatively young religion that was founded by Bahá'u'lláh [1817-1892] in 19th-century Persia. The central tenet of the religion is that humanity is one single race and that the time has come for its unification into a global society. 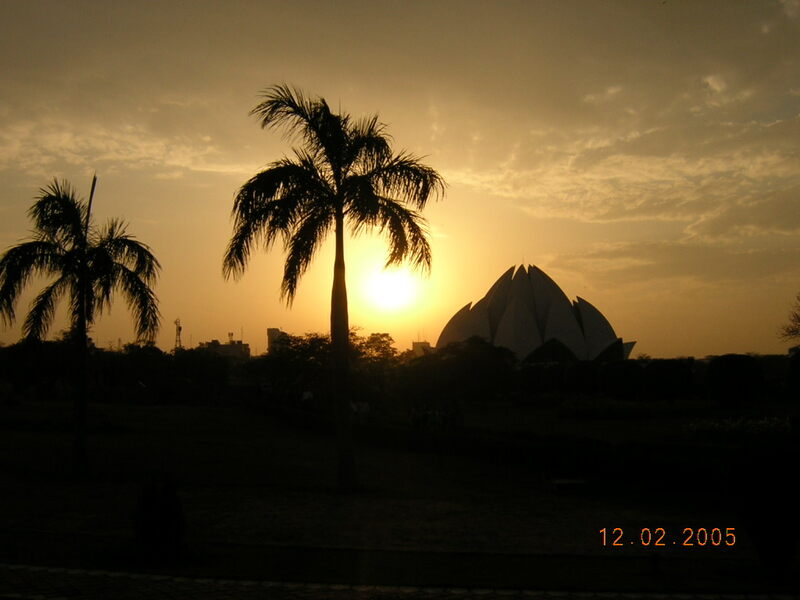 Whether you subscribe to this religion or follow another faith or perhaps follow no faith at all you cannot argue the simplicity and value of the Bahá'í message; if every human was to adopt that belief most likely the world would be a more peaceful and better place in a hurry. Sadly as is so often the case with humanity this simple and peaceful message was met with ignorance and dismissal by the "authorities" and Bahá'u'lláh spent his final years in prison. 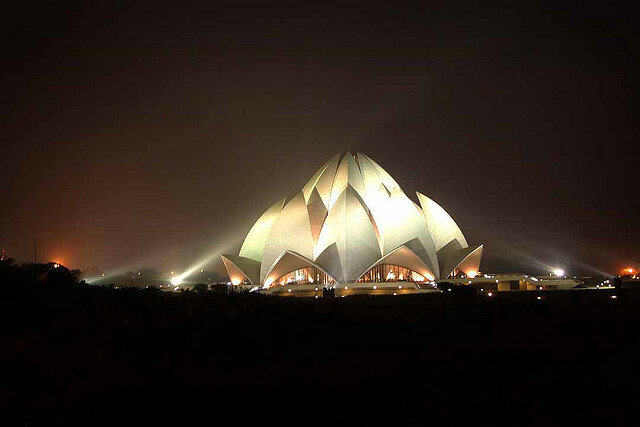 The magnificent Lotus Temple seems very appropriate as a symbol and a center for his movement and its belief in the unity of humanity.